40 years working experience of construction, operation and maintenance of 400 KV, 220 KV, 132 KV, 33 KV 11 KV lines and grid substations in various capacities in developing a large transmission and Distribution network in erstwhile RSEB and RVPNL. Have good knowledge of existing and proposed transmission system of state. Had a key role in planning to execution for development of transmission network in the state as per requirement of various utilities. Rajasthan Solar Power development corporation ltd. a subsidiary of RRECL is also taking services as a part time consultant in developing EHV Network for Power evacuation in developing Solar Park at Bhadala. Bachelor of Electrical Engineering from MREC, Jaipur (1976) & post-graduate from MBM engineering college Jodhpur (1993) during service. Always interested in dealing with the problems of integral electrical system. Published paper on “Dynamic Real Time National Power Grid Control using Optical Fiber composite overhead Ground Wire”(OPGW) in International Journal of Computer Application (0975-8887) on Electronic Information & Communication Engineering-ICEICE no.1 Dec-2011. 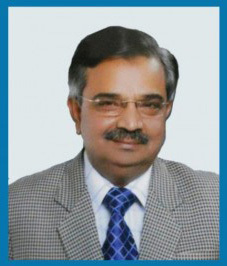 30 years working experience in power sector i.e. Generation, Transmission and Distribution. 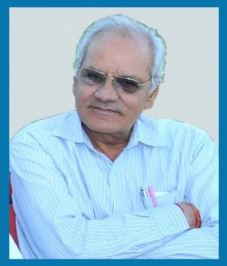 DME from Polytechnic College Jodhpur (1978) with BHAGIRATH AWARD and Bachelor of Engineering (BE.Mech.) from MBM Engineering College, Jodhpur (1982). Dealt with various challenges for maintenance of the distribution system, construction and commissioning of various EHV lines and sub stations for power evacuation system of RVPNL, also for Solar and Wind Power Plants, by co-coordinating with agencies involved for timely completion of project. Presently providing AC and DC system designs for various solar plants.